Home Blog Apple Mac What software comes with a MacBook Pro? 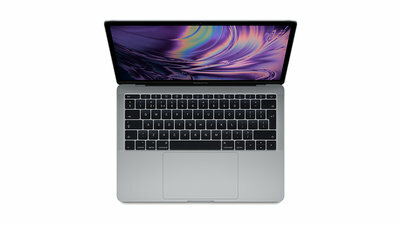 What software comes with a MacBook Pro? If you’re thinking about investing in a MacBook Pro, you may be wondering what software is included. Every Mac is powered by the operating system macOS, which comes with an entire suite of apps, allowing you to socialise, create, browse, organise and edit. With consistent updates to ensure your machine is always working its best, Apple designs everything to work just as you would expect – seamlessly, simply and intuitively. With Siri voice control, you can perform actions on your MacBook Pro quickly and easily. Spotlight is also available to help you effortlessly find files, while Finder allows you to organise and browse all of the files on your Mac and iCloud Drive. Photos: Edit, share and organise photos and videos. iMovie: Edit and transform videos. GarageBand: Create music with a huge selection of instruments, sounds and more. Pages: Create documents with fonts, graphics and more. Keynote: Create presentations with transitions and animations. Mail: Manage of your email accounts in one single app. Messages: Use the message app just as you would on your iPhone. Facetime: High-quality video and audio calls. Calendar: Keep all of your calendars in one place. Contacts: Keep contact information up-to-date across all of your devices. Notes: A great place to keep notes, reminders, links, photos and more. Safari: A fast, energy-efficient web browser with built-in privacy features. Maps: Map out routes and find locations easily. Spotlight: Instantly search the internet or your MacBook Pro. iTunes: Find music, programmes and films you love. App Store: Find the latest apps for your MacBook Pro. iBooks: A bookstore where you can find the latest books. If you don’t see the software here that you need, get in touch to see if we can help. Leasing a MacBook Pro with Hardsoft Computers offers great benefits to your business. 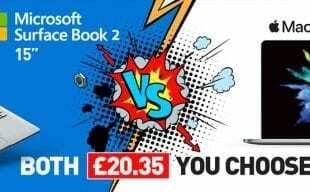 With the option to upgrade every two years, you can always have the best technology available to you with warranty and free repairs. Our Flexi-lease plans are also treated as a business expense, so you can claim the whole payment against your profits, making it cheaper than buying. 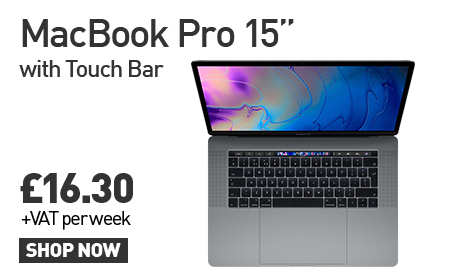 If you would like to find out more about the MacBook Pro or any other products, get in touch via telephone – 0207 111 1643, email info@hardsoft.co.uk or chat to us live online. We’d love to help you and your business, so you can make the most of the best technology available! 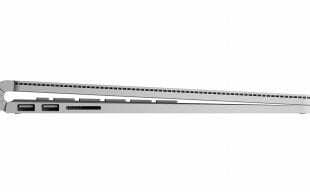 MacBook Pro 15" or Surface Book 2 15" – Which one should you choose?